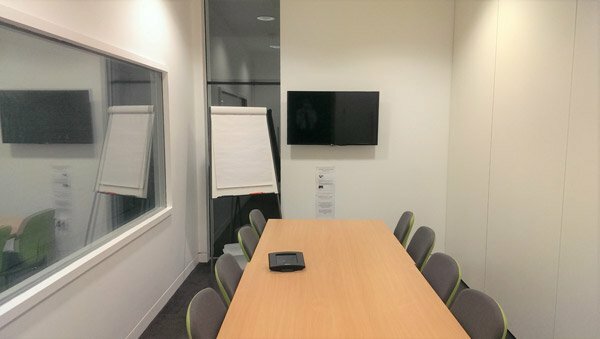 A great training room creates an environment that allows both the presenter and the participants to feel relaxed & comfortable, without any technical worries, this in turn helps to support effective teaching & learning and therefore ensures the best ROI. 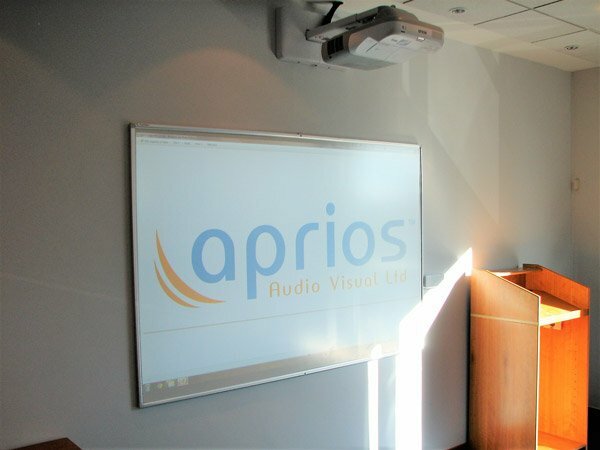 Our goal is to provide an AV system that supports the type of training that you provide & the rooms that you do it in. 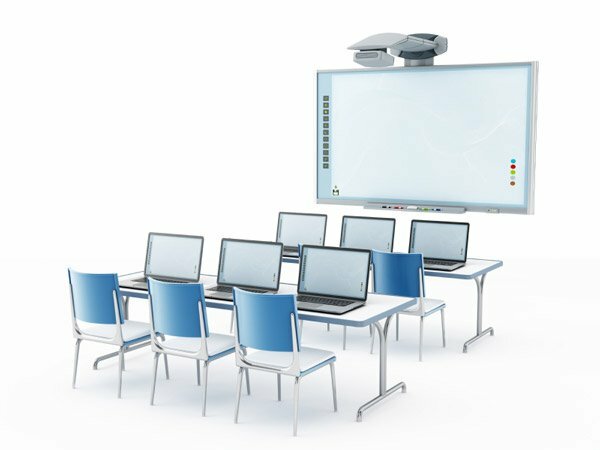 See below for our latest training room systems that include wireless microphones and repeater screens so all of the audience can hear and see clearly. Please get in touch to place an order or to talk through the type of training sessions that you provide and we can specify the best system for you. What type or training do you offer? What type of training material do you use and how do you need to access it during a training session? 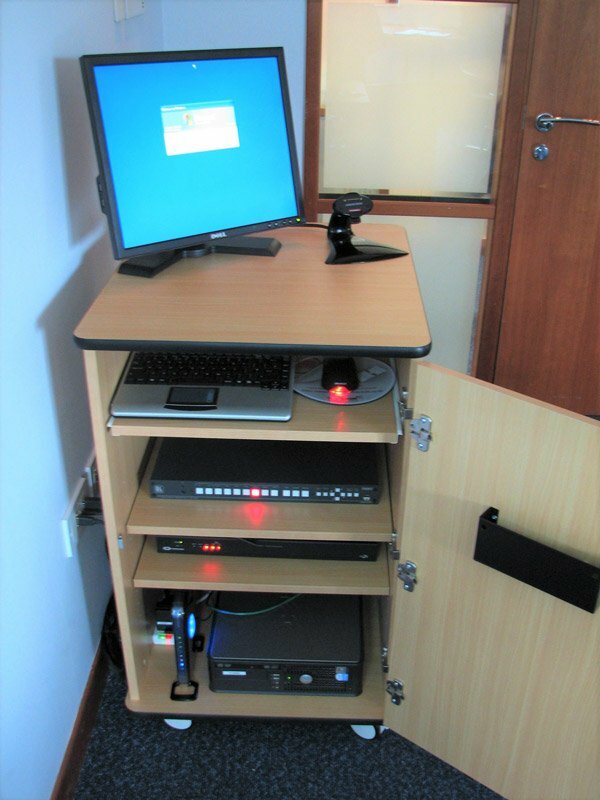 Training material could be stored on laptops, tablets & mobile phones or accessed via a corporate network or the internet so we will ensure that the AV system is specified to cope with this in a simple and straightforward manner. Will everyone be able to see clearly? 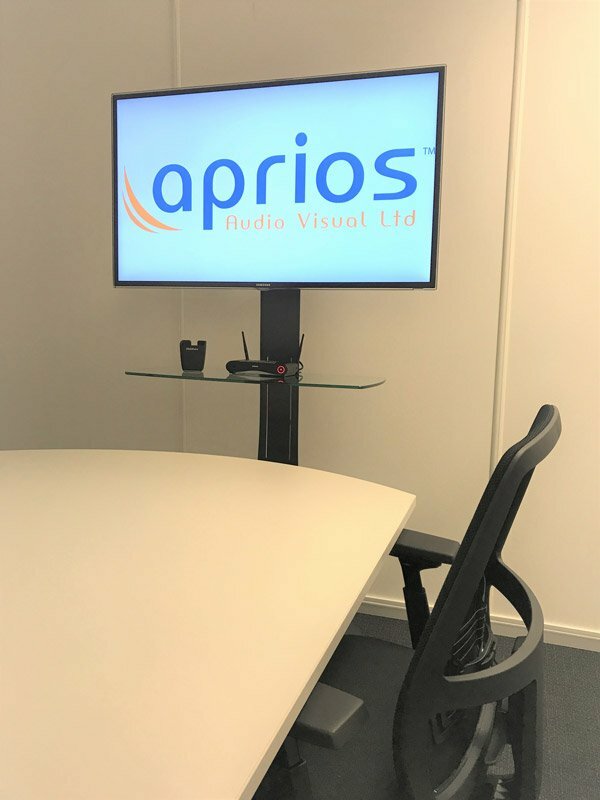 We will make sure that the size of the display screens and the image quality takes into account your actual training material & lighting conditions to ensure that participants can see information clearly without straining their eyes from anywhere in the room. Can everyone easily hear you? Whether its speakers, microphones, induction loops or considerations for reverberation, echo & reducing noise interference from neighbouring rooms, it’s our job to make sure that everyone can hear what’s being said without being disturbed. How many people are involved in a typical training session? If this varies do you need your AV systems to be able to cope with a more flexible space? Perhaps three rooms need to be able to open up to create one large area etc.? Where would you like to present from in the room? 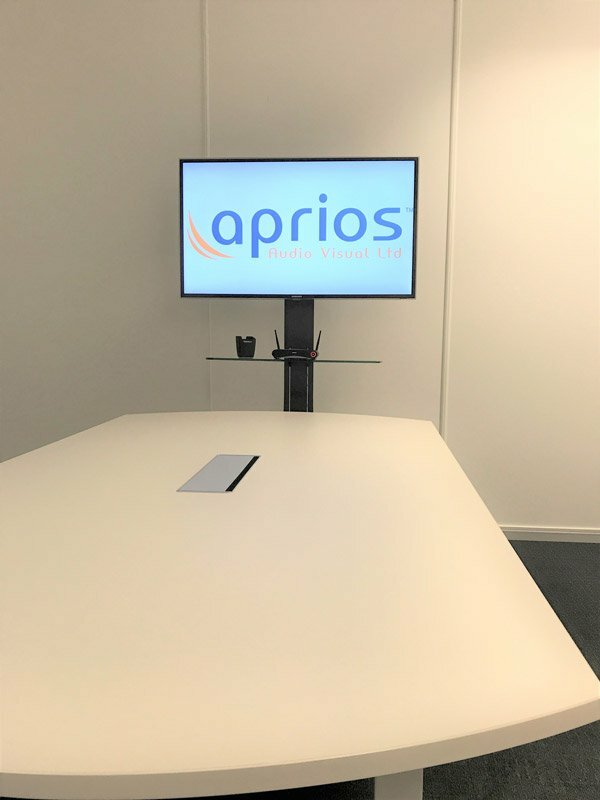 Training rooms often need to be flexible spaces so between us we will consider your different scenarios and ensure that all the AV input connections & room controls are easily accessible & in all the right places for you. 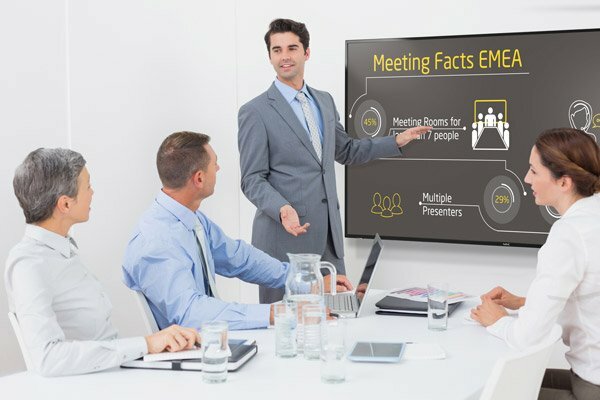 Would you prefer a wireless presentation system? 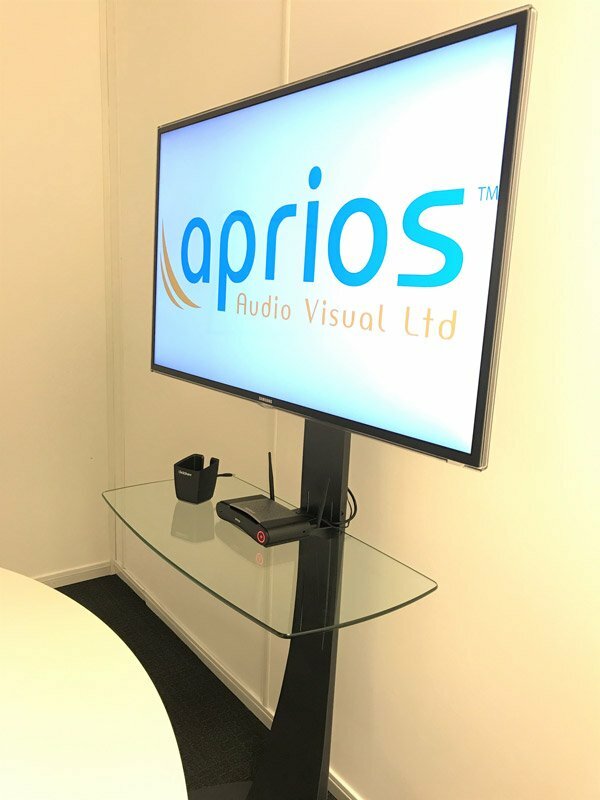 We can specify wireless presentation system that allows you to present your training material from laptops or mobile devices from anywhere in the room & multiple users can even share their screens on the main presentation screen simultaneously if necessary. Would real time Q&A sessions with instant results help you to engage more with your audience, improve understanding & aid participant evaluation? If so we can specify an audience voting system that could turn a boring PowerPoint presentation into an interactive & fun training session. Is the training session interactive? Would you benefit from being able to not only add notes on screen but also be able to send them out to your participants for future reference after the training session has finished? 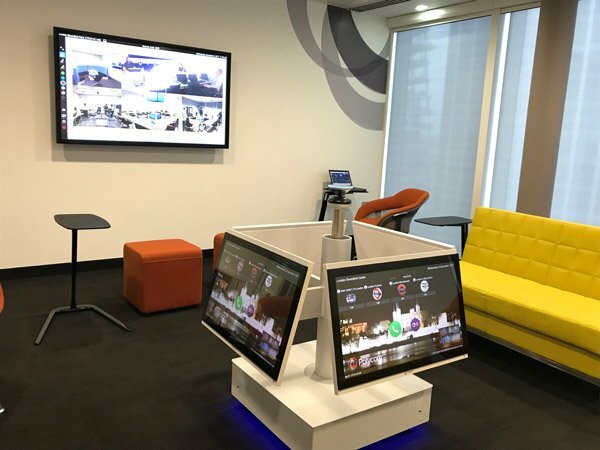 If so there are a range of interactive display systems that we can discuss with you. 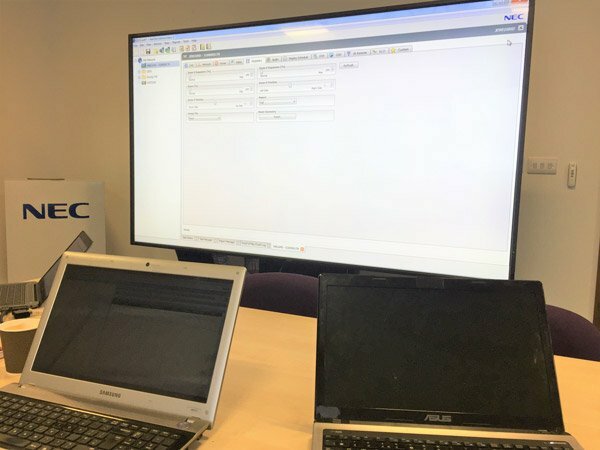 Would it be beneficial for others to be able to view live training sessions remotely or be able to record the session & make it available to participants or clients once the session has finished? By making use of video cameras and microphones we can offer both live streaming for real time observation & add lecture capture systems to record your sessions for future reference. 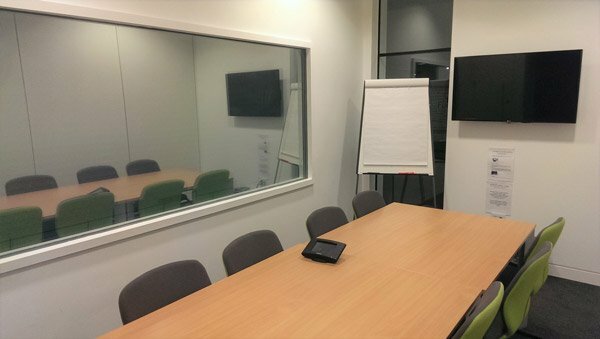 If you have several meeting rooms how will you manage all of these rooms properly to ensure maximum utilisation and therefore ROI? We can specify room booking systems that allow you to book rooms in advance, see what rooms are available & how long they are being used for etc. 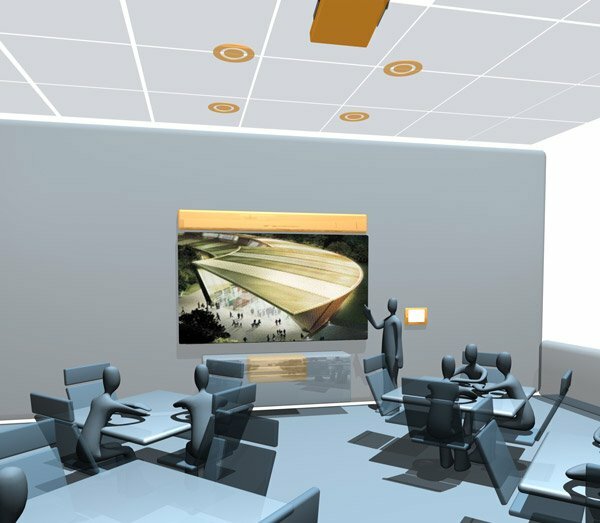 Will the presenter need to be able to control the lighting, blinds and temperature in the room to make sure that everyone is comfortable and able to concentrate properly? 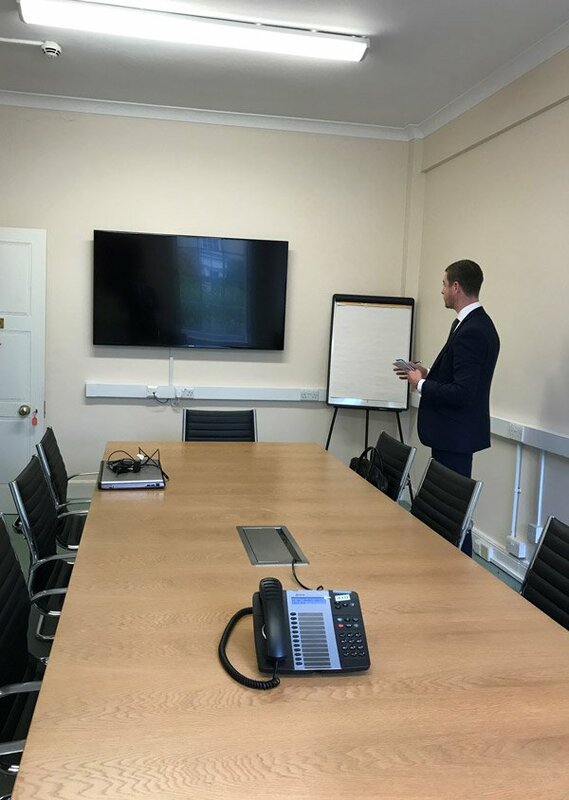 By incorporating an AV control system with an intuitive user interface we will make sure that anyone can easily control the room environment without any prior training. Training sessions are investment in people’s time and regardless of whether the training session is for internal members of staff or part of an external training provider’s service any downtime caused from faulty equipment must be reduced to absolute minimum and if someone needs help with an active training session it must be provided extremely quickly. To help with this we offer all of clients a custom AV maintenance & support service which will be tailored to the SLA’s that you require. Please get in touch today so that we can start working on your new training room!